The Oratorical Program is a function of the American Legions’ “Americanism Pillar”. 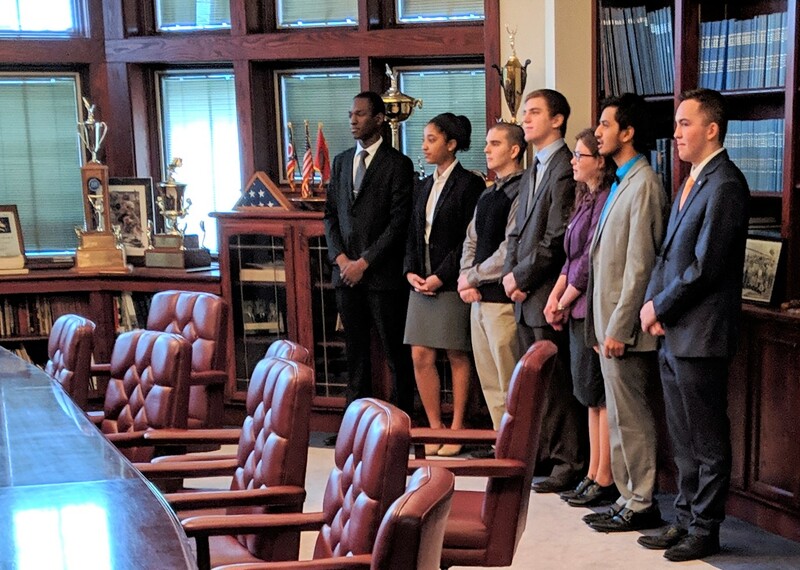 The Oratorical Program is a constitutional speech contest for high school students and it offers scholarships upwards of $18,000. The contest has a prepared oration and an assigned topic which is assigned the day of the contest. The prepared oration must be on some aspect of the Constitution, with emphasis on a citizen’s duties and obligations to our government. The same subject and oration used in the department contest must be used in the national contest. The purpose of the assigned topic discourse is to test the speaker’s knowledge of the subject, the extent of his or her research, and the ability to discuss the topic as related to the basic principles of government under the Constitution. Winner, Honor Persing poses with her mother Michelle, Oratorical Chair, John Looker, and two of the esteemed speech Judges. 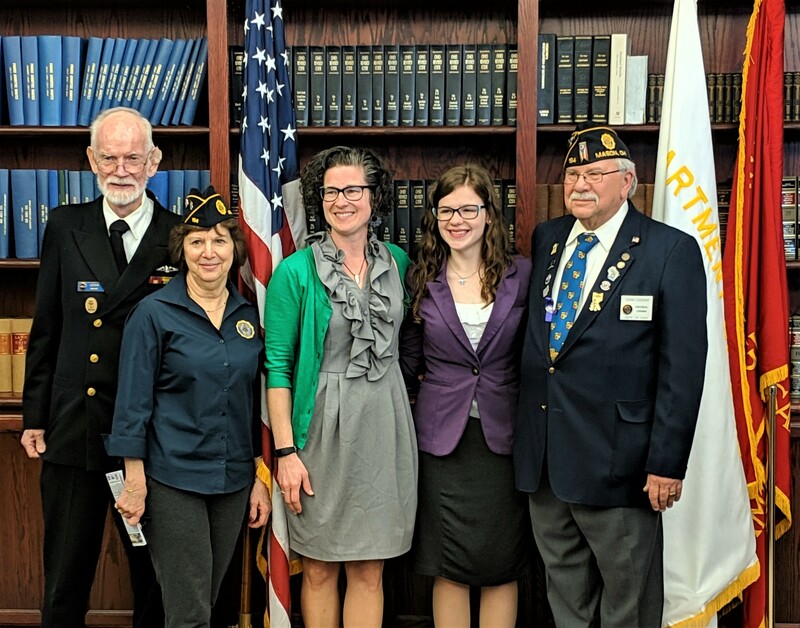 On Sunday March 10th 2019 at The American Legion Department of Ohio Headquarters, a local home-schooled freshman, Honor Persing, participated in the State American Legion Oratorical Contest held at their headquarters in Delaware, Ohio. She was able to compete on this level after having won the District 4 competition a few weeks ago in Mason, Ohio. She placed 1st overall for the state, after having won her room in the semifinals, then coming in 1st out of the 2 finalists. This earns her a spot at the National American Legion Oratorical Contest to be held in April, in Indianapolis, as well as generous scholarship money from the Legion. Students who participate in this contest are required to write and deliver their memorized 10 minute speech on the Constitution, as well as delivering another 5 minute speech on an assigned amendment. Honor is the daughter of Joe and Michelle Persing and resides in Martinsville. There were 7 contestants represented in the State contest held on March 10, 2019.